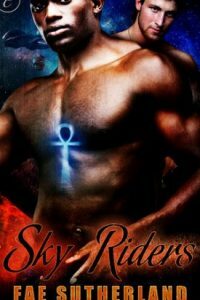 Let me start off saying I am not a big Sci-Fi romance book fan. I have read a few and they are good, but they usually don’t hold my interest. I don’t know what made me check out Claimed on Amazon. If it was a book they recommended or if I read a blog or what. But as soon as I read the description, I was intrigued. 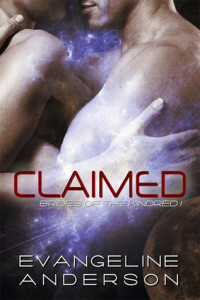 Claimed is the first book in the Brides of the Kindred series. The Kindred are a race of aliens who look and basically are humanoid. Their race is 95% male, and the rare 5% female usually become priestess. So they have made a point of helping out other planets in exchange for brides. Earth is one of four such deals. Earth is attacked by the Scourge and the Kindred step in to save us. The war isn’t over, but the Kindred are fighting it in space and Earth has pretty much gone on as they always have except now there is a bride draft. Any woman between the ages of 18 and 35 are required to sign up for the draft, but very few actually get selected. This is where the story begins. Baird, the hero, was captured by the Scourge and tortured for six long months. During this time he dream shares with Olivia, who is young nurse on Earth. Once Baird escapes, he knows he must bond with Olivia as she is his mate and the only reason he survived the Scourge. Taken suddenly, while still in her skimpy underwear, Olivia is summoned to bond with Baird. 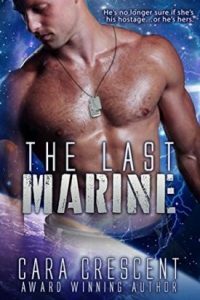 Olivia resists, knowing she will be required to live on the ship with Baird and only see her family and friends once or twice a year. It also helps to understand that Olivia has a twin sister, or womb-mate as they call each other affectionately. A little information about the Kindred. They are made up of three types. Beast Kindred is what Baird is. They are fierce and have a tantric sexual style…two words…mating fist. You just have to read it, I don’t want to give it away. Blood Kindred are emotional cool and like they name, they like to bite. Not quite vampire, but they do require blood with their mate. The last one is the Twin Kindred. You guessed it, they are twins. The light and dark sides of each other and from my reading so far, their names are fairly odd. Their mating ritual takes place over the course of a month with each week introducing a new concept. Week 1…holding. Week 2…bathing. Week 3…tasting. Week4…bonding. I found this novel to be more intriguing that good. I loved the concept of the idea, but some of it seemed just a little off. How to describe it? She resists, resists, resists and again resists and something happens and she realizes she can’t live without him. Not uncommon but this one went on a little longer than I thought necessary. Some of the females seemed silly and I just wanted to punch Jillian (a smaller side character). 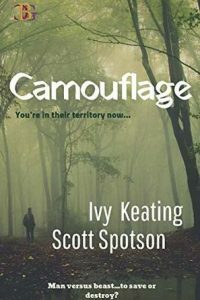 There are 3 books so far in the series and they all deal with the main 3 females; Olivia, Sophie and Kat. Each get a different type of Kindred. So now I want to read them all…and I am. The love scenes were hot…and I mean hot. He only wants to satisfy her in every way. Leaving him very frustrated…and her always hot and under his spell. 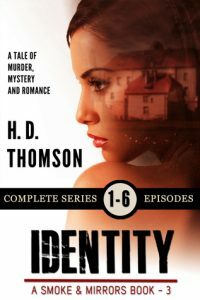 While not the best book I have ever reading it was entertaining and I would recommend it if you want something different.